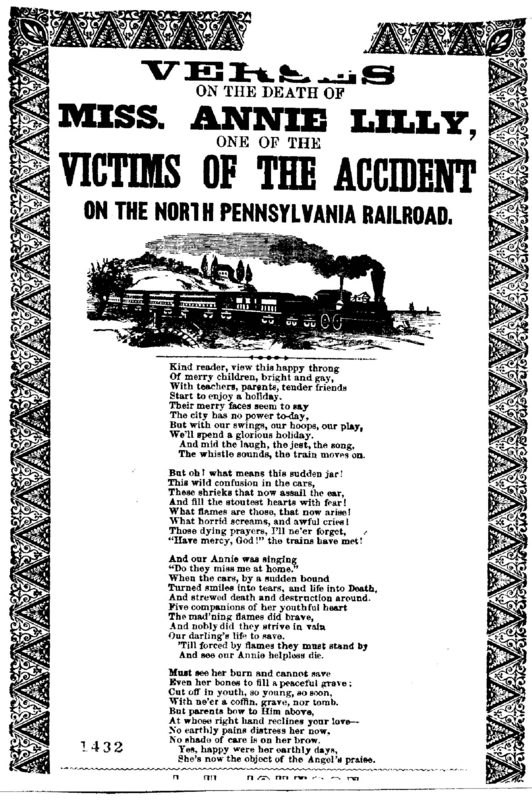 These verses memorialize Annie Lillie, a 16-year-old victim of the North Pennsylvania Railroad disaster, known as "The Great Train Wreck of 1856." The worst railroad accident in history up to that time, the disaster occurred when two trains collided head-on, killing approximately 60 people, many of them Sunday school children on a picnic excursion. "Verses on the Death of Miss Annie Lilly" exemplifies the nineteenth-century predilection for memorializing disasters and other significant events in song, and its lyrics are typical of the era's often maudlin and sentimental popular style. Source | "Verses on the death of Miss. Annie Lilly," lyrics (Philadelphia: J.H. Johnson, [n.d.]); from Library of Congress, America Singing: Nineteenth-Century Song Sheets, http://memory.loc.gov/cgi-bin/query/h?ammem/amss:@field(DOCID+@lit(as107730)). 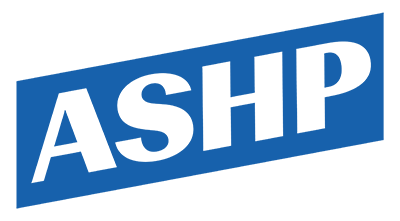 Cite This document | J.H. Johnson, “"Verses on the Death of Miss Annie Lillie",” HERB: Resources for Teachers, accessed April 25, 2019, https://herb.ashp.cuny.edu/items/show/839.